Bourbon and Horse Country are Kentucky’s most well-known attractions, and for good reason: they’ve both been around for more than 200 years. 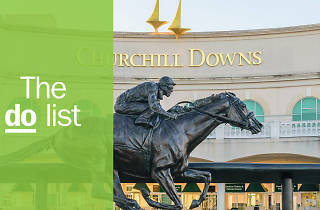 But there’s more to the Bluegrass State than the average tourist guide tells you about: from a museum dedicated to the Corvette, the homeplace of country music legend Bill Monroe, the Shaker Village of Pleasant Hill and, of course, delicious hot browns (the area's signature open-faced turkey sandwich)—you're in for a wild time when visiting Kentucky. Take in the natural beauty of Kentucky’s renowned state parks, learn about the origins of bluegrass music and savor the taste of the state's food when following our guide to the very best things to do in Kentucky. What is it: In the hills of the Bluegrass State, the Kentucky Bourbon Trail is network of 13 distilleries that create Kentucky bourbon. 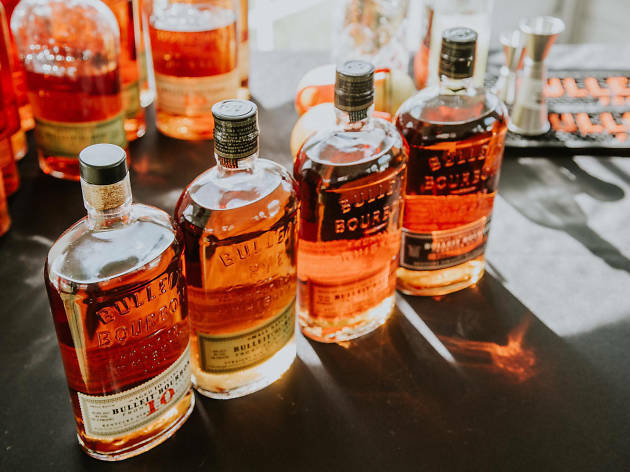 Why go: To check out some of the best distilleries making America's only native spirit and learn a bit about this iconic liquor. Don’t have time to sip your way around the whole state? Check out the Urban Bourbon Trail in Louisville. 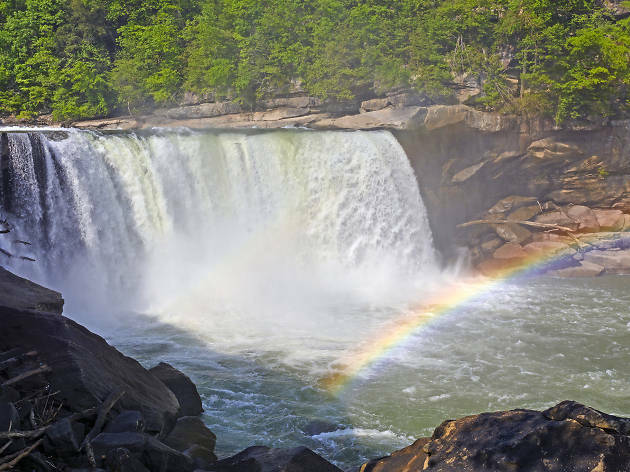 What is it: Cumberland Falls, a 125-foot-wide waterfall known as the Niagara of the South, makes this one of the most visited state parks in Kentucky. Why go: The falls are beautiful during the day, but check the Kentucky State Parks website for the moonbow schedule. Cumberland Falls is one of the few places in the world where this natural lunar rainbow phenomenon takes place. 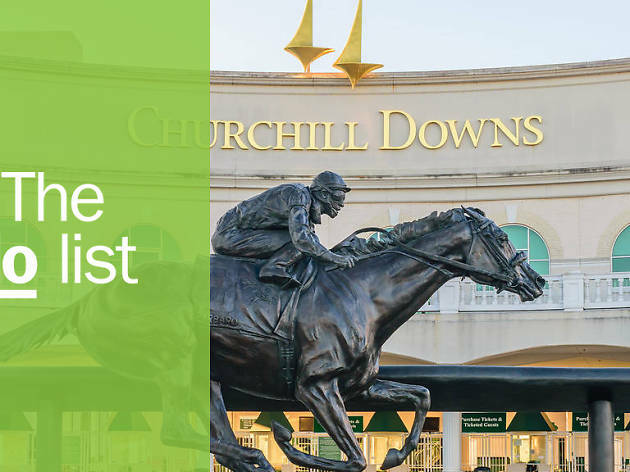 What is it: The legendary home of the Kentucky Derby. Thoroughbred racing has been a Kentucky tradition since the eighteenth century and this is the state’s most famous track. 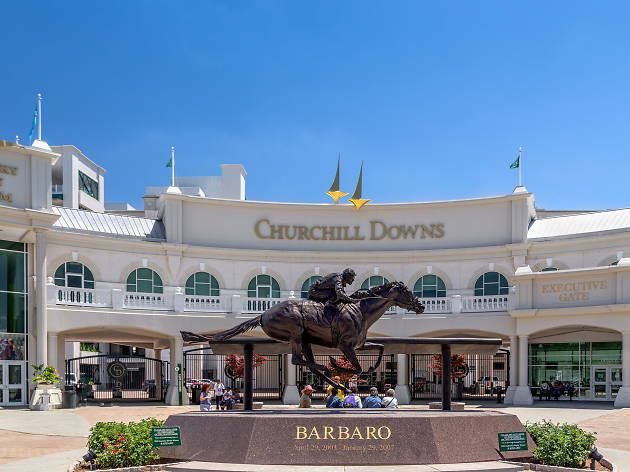 Why go: If you can’t visit during a race, take a behind the scenes tour with the Kentucky Derby Museum to see the jockeys’ quarters and the exclusive Turf Club. You can also opt for the horses and haunts tour, which shows you all the sites while divulging spooky legends from the past. 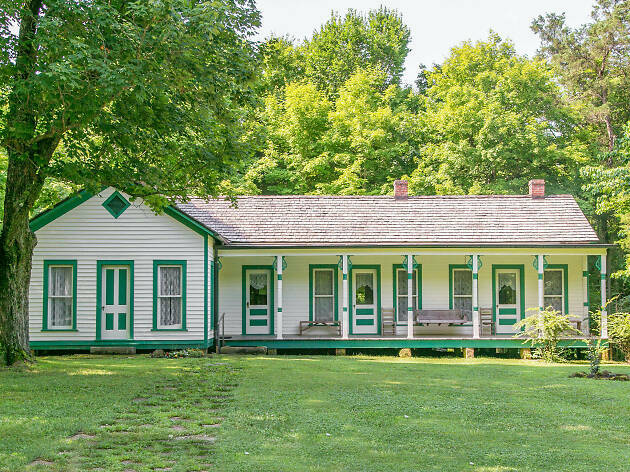 What is it: The childhood home of country music legend Bill Monroe, known around the world as the father of bluegrass music. Why go: Bill Monroe was a fixture of Nashville’s Grand Ole Opry for more than 50 years and was inducted to three Halls of Fame: bluegrass, country and rock and roll. Visit Monroe’s home, which was restored in 2001, to discover the history of his early life through instruments, early twentieth-century furnishings and rare photographs. There are often bluegrass pickers playing on the front porch. 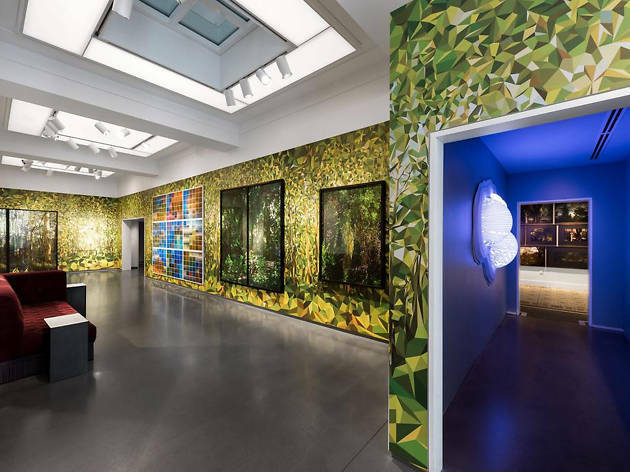 What is it: Contemporary art museum meets boutique hotel in downtown Louisville. 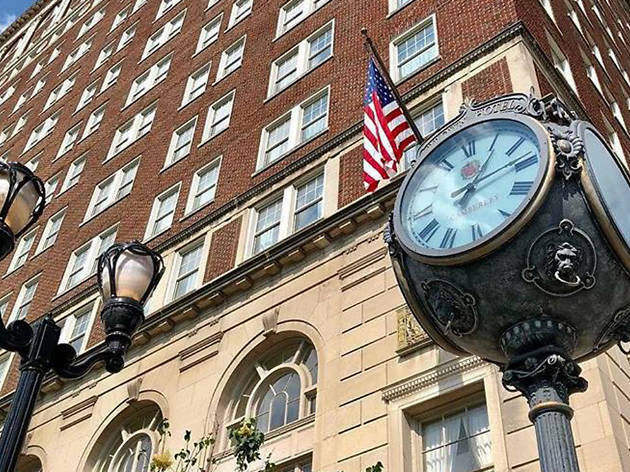 Why go: The Louisville 21c is a cultural campus with modern hotel rooms, a spa, farm-to-table restaurant and bar, and a museum space with rotating exhibits. The museum space shows off the world’s best contemporary art and is open 24 hours a day, seven days a week, free of charge. You can’t miss the towering gold replica of Michelangelo's David out front. 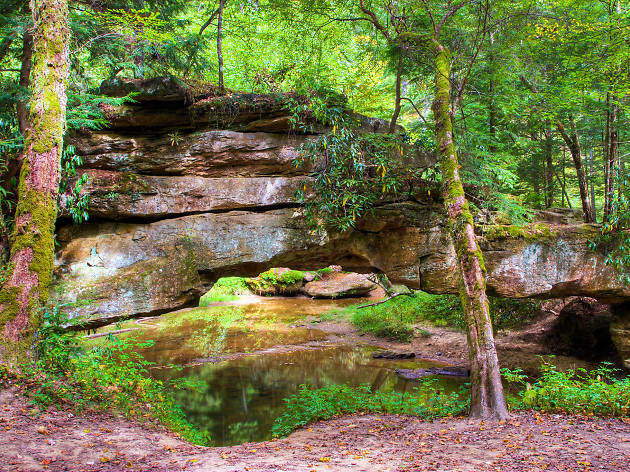 What is it: A designated geological area of huge, rugged rock formations including more than 100 sandstone arches, surrounded by trees in the Daniel Boone National Forest. Why go: This canyon system is home to the largest area of sandstone arches east of the Rocky Mountains. The Red River Gorge is a playground for rock climbers from all over the world and you can enjoy the beauty of this place by car too, stopping for easy hikes to take in the sweeping views. Be sure to trek to Chimney Top Rock to revel in a 360-degree vista. What is it: Kentucky’s signature sandwich is an open-faced turkey sandwich topped with cheese, bacon, tomato and a rich mornay sauce, created at thee Brown Hotel in Louisville. Why go; This savory sandwich dates back to the roaring ’20s and was made to satisfy hungry, late-night patrons. Order the bubbling, cheesy creation at J Graham’s Café, where it was born, with a signature bourbon cocktail on the side. 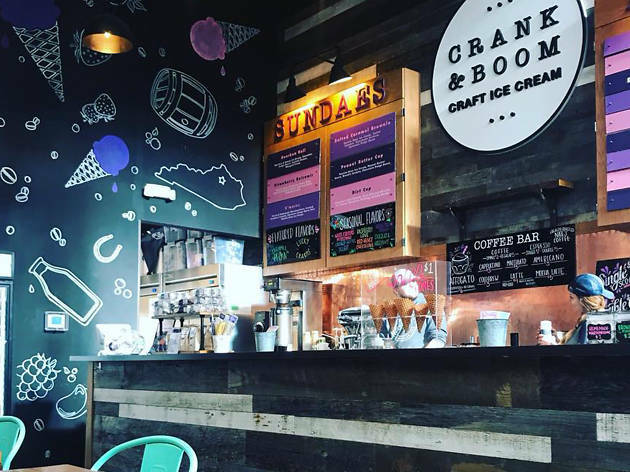 What is it: A Lexington spot serving ice cream with a side of booze. Why go: The ice cream here is the real deal. Made with all high-quality, local ingredients like Kentucky dairy from JD Country Milk and no artificial sweeteners or flavorings, it is some of the most decadent ice cream you’ll ever eat. While little ones can enjoy two monster scoops in a homemade waffle cone, adults might want to opt for a (spiked) trip down memory lane with Stout Dreams, a boozy ice cream cocktail made with their stout ice cream, Buffalo Trace bourbon cream, espresso, brownie and salted caramel. What is it: Independent craft brewery in a 100-year-old former bread factory in Lexington. Why go: Sure, Kentucky is known for its bourbon—but the beer scene here is just as booming. Check out West Sixth to sample hoppy IPAs and complex barrel-aged beers like the Pay It Forward Cocoa Porter aged in Kentucky bourbon barrels. 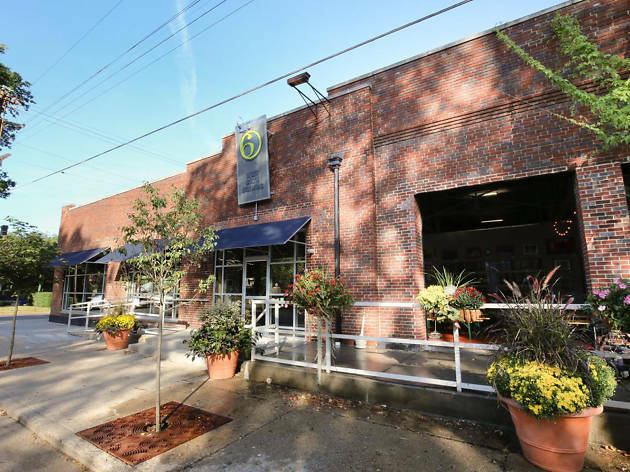 West Sixth is dedicated to doing good in the community as well as crafting excellent beer by giving 6 percent of net profits back to charities every year. What is it: An organization of horse farms near Lexington, seeking to explore the history of Horse Country. 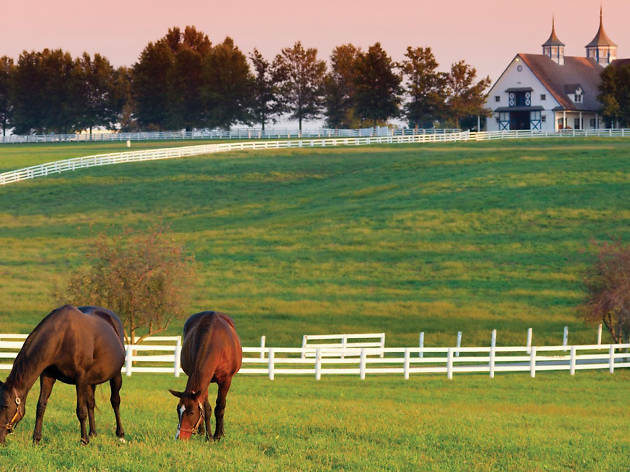 Why go: As your car floats through the rolling hills surrounding Lexington, you can’t help but be enamored with the majestic horses dotting the landscape. Get up close to the legendary thoroughbreads of Kentucky exploring the nursery farms, training tracks and more in this beautiful piece of countryside. What is it: Once home to the largest Shaker community in the United States, this 3,000 acre property now features a historic inn, restaurant, farm and nature preserve. 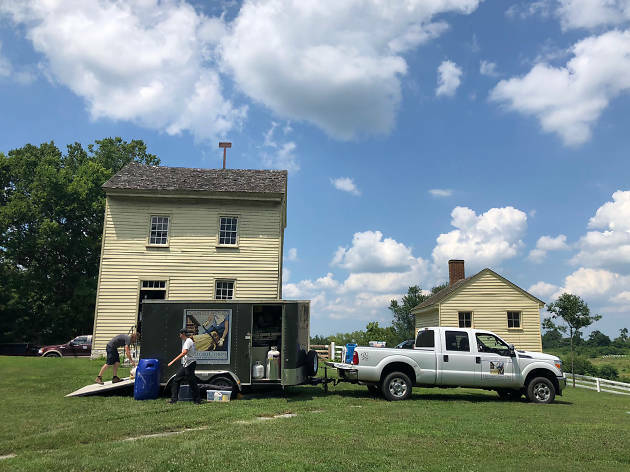 Why go: Visiting Shaker Village is all about discovery. Just an hour or so away from Lexington, explore the Kentucky countryside on guided nature hikes, learn about Shaker furniture and architecture in the expertly restored Shaker buildings or enjoy the fruits of the farm in the cozy restaurant serving area classics like bacon and benedictine sandwiches and the hot brown. 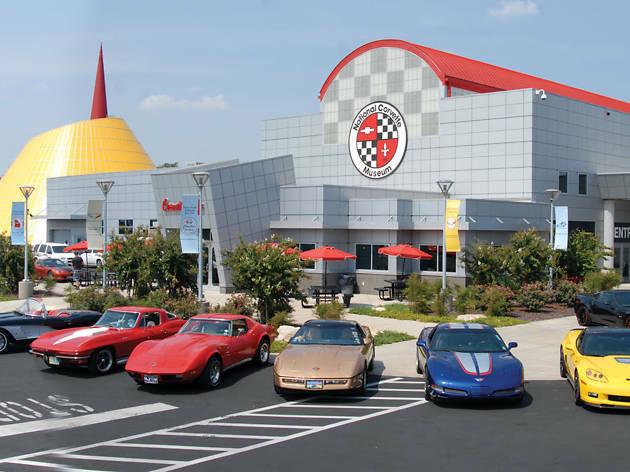 What is it: A museum dedicated to America’s sports car. Why go: Car buffs can look through 80 different Corvette models, one-of-a-kind concept cars, advertisements and other memorabilia surrounding this stylish and iconic car. Don’t miss the "Corvette Cave In" exhibit, detailing a sinkhole collapse that happened in the museum, with security footage of eight classic cars falling in.